€17.95 from 64wine, Glasthule, Whelehan’s, Loughlinstown; La Touche, Greystones; Blackrock Cellars; Sweeney’s, Glasnevin; Jus de Vine, Portmarnock; Baggot St Wines and Clontarf Wines. 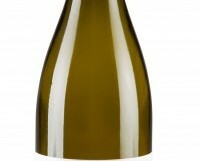 Lovely refreshing pure plump peach and pear fruits balanced perfectly with a mineral acidity. This went down a storm at home – one of those bottles that disappears as if by magic! A good all-rounder with fish and white meats or simply by itself. I tried this twice recently and was reminded just how much I love good Godello. In the right hands, and Rafael Palacios is certainly the right hands, it has some similarities with Chardonnay but with a character all of its own. Delicious wine worth seeking out.